100 pages of Housekeeping Essentials, PLUS all our Curtain & Upholstery Products and Services! 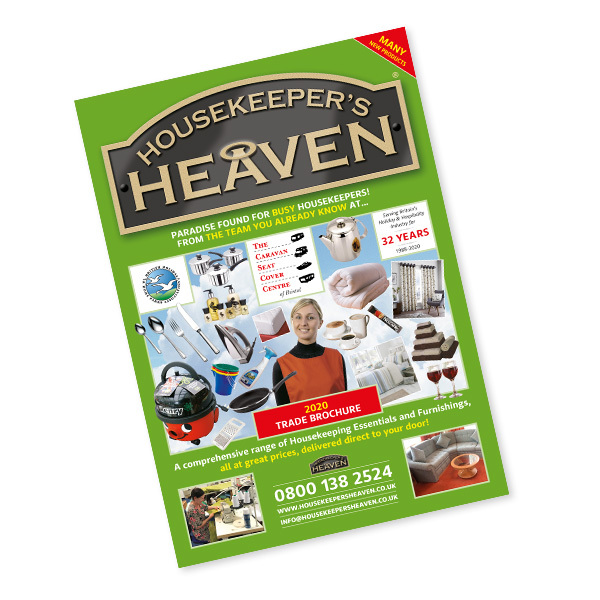 Our 100-page Housekeeper's Heaven colour brochure, offers a comprehensive range of Housekeeping Essentials - all at great prices! It also now contains details of all our other Curtain & Upholstery Products & Services. For your convenience we have an online copy of our latest brochure for you to view at your leisure. CLICK HERE to view this now. For your convenience we also have an Acrobat PDF file of our new brochure for you to download. CLICK HERE to get your PDF copy now. Alternatively, please CONTACT US to request a printed brochure copy free of charge.